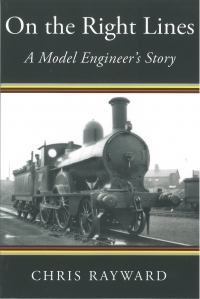 On The Right Lines tells the story of Chris Rayward and his lifelong love of model engineering. Being encouraged to save for a lathe when he was fourteen, the book tells the story of the author's formative years, his early hobbies with Meccano, miniture railways and boat building. It goes on to detail his widespread experiences as a youngster in Australia and his subsequent technical achievements as a qualified mechanical engineer.